The same level of disruption in the shipping industry could come from a new protocol. 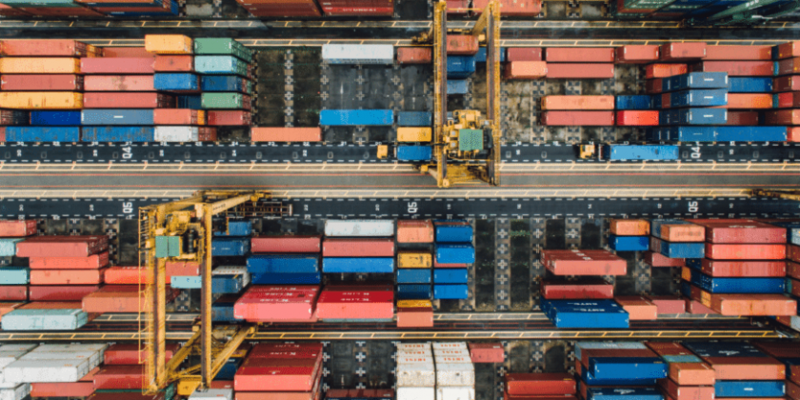 Like the shipping container, blockchain could make operations more efficient, standardize transfers, and allow senders and recipients to track their orders in real time. This makes it an exciting time for blockchain shipping. Many of the major companies in shipping and freight have joined the Blockchain in Transport Alliance. The goal is to create standards for the new blockchain shipping industry. These companies have recognized blockchain’s potential and the viability of this use case in their industry. A blockchain shipping industry could rely on blockchain technology to keep a record of the Bill of Lading and a shipment’s transfer history. When a transport company signs for a shipment, accepting the shipment for further transport, it could be recorded to the blockchain. In a transparent system, that blockchain record is then available anywhere in the world. Someone awaiting the shipment could see information about which company is transporting the item at the moment and where they last signed for it. Shipping efficiency, trust, and safety could change dramatically. Blockchain shipping would mean greater transparency, competition, and assurance so that shipments make it to their final destinations. The shipping industry will be expected to create a standard for greater efficiency and a single source of truth. What is holding back blockchain in the shipping industry?